Inca Daily Life - HISTORY'S HISTORIESYou are history. We are the future. Review: What is an ayllu? Inca society had two main social classes - an upper, elite class and a lower class made up of commoners. Whether elite or common, all families were organized into ayllus - a grouping based on common traits such as the wealth and occupation of the families in the ayllu. The king, priests, and government officials made up the Inca upper class. While most noble men worked for the government, women from noble families had household duties such as cooking and making clothes. They also took care of children. Mostly, commoners were farmers. Who received an education in the Inca empire? Sons of noble families went to school in Cuzco. Even for these upper-class families, however, education was still limited to just four years. In their first year, boys studied the Inca language, Quechua. In their second year, they learned about the Inca religion. The boys' third year of school was spent learning to use the quipu. Without writing, the quipu was the way that the Inca kept records of populations and food supplies, so this was an important skill for future leaders to have. The education concluded with a fourth year spent studying Inca history. In order to prepare for lives as government or religious officials, upper class sons might also study law. Students also took part in physical training and studied military techniques throughout their school years. Since they had no script to write or to read, the education system was based on listening and memorizing. Teachers were called Amautas. They taught their students through routines of practice, repetition and experience. In addition to education, upper-class families had many privileges. They lived in stone houses in Cuzco and wore the best clothes. They didn’t have to pay the labor tax, and they often had servants. Still, as part of the Inca government, they had a duty to make sure that people in the empire had what they needed. As the Inca conquered new lands, the conquered people became Inca subjects and joined the common people who made up the Inca lower class. Most common people were farmers, artisans, or servants. There were no slaves in Inca society. Lower-class men and women farmed on government lands, served in the army, worked in mines, and built roads. Children of common Inca were not educated. Parents taught their children the skills needed to work on the farm. If a boy was recognized for special talents, the government might choose to train him as an artisan. Training for the girls was different. Girls with talent and beauty might be chosen from the villages. 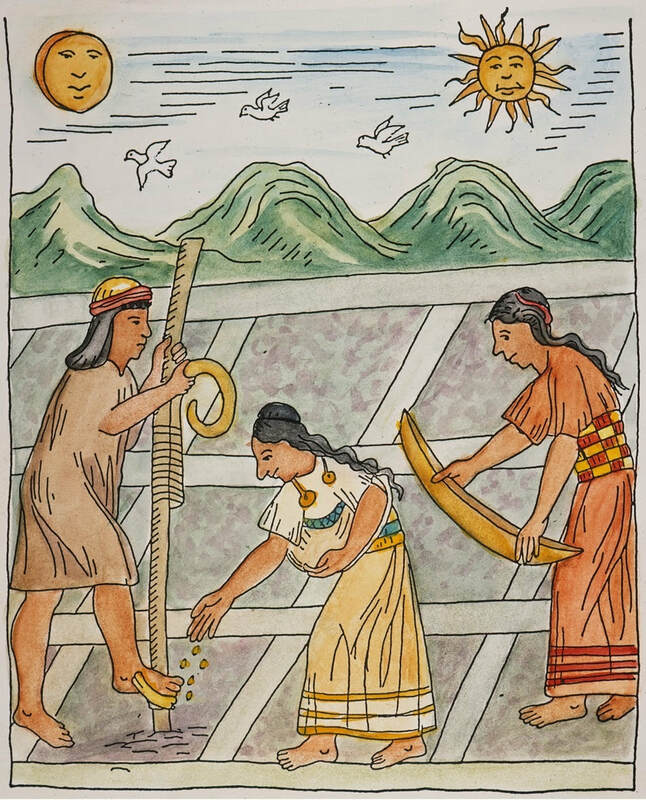 If chosen, they were given training on the art of spinning, weaving, cooking, chicha-making (a thick, corn-based beer), and religion. After the completion of their training, they were sent to serve the king or to work in the temples. Lower-class Inca lived outside Cuzco in small houses. By law they had to wear plain clothes. Also, they couldn’t own more goods than they needed. While the Inca empire numbered nearly 12 million people and had a large and sophisticated government to manage the population, nearly 90 percent of all Inca were commoners. The life of common people was highly regulated and all commoners worked hard to support the Inca state. Who watched the children while the parents worked in the fields? Childhood in the Inca empire was different from childhood today. From an early age, Inca children watched their parents in order to learn their trade. The children of workers were expected to begin working at a very early age. From age five to nine, boys and girls were expected to help their family by watching younger siblings. They were also supposed to scare birds and other animals away from the crops, collect firewood, spin wool to make thread, gather wild plants, and help out with cooking and cleaning. From age nine to twelve, children took on additional responsibilities. Boys herded animals and hunted birds, while girls collected materials for dyeing cloth. Education: The Inca people were smart. Children of commoners, however, rarely received an education. When they were old enough, each child was assigned a job to do. That was their job for life. The only training they received was related to their assigned job. Marriage: Everyone was required to marry. Inca boys became men at age 14 and could then marry. Although the Inca royals had many wives, commoners could have just one wife. If an Inca man had not married by the time he was 20, an government official would choose a wife for him. 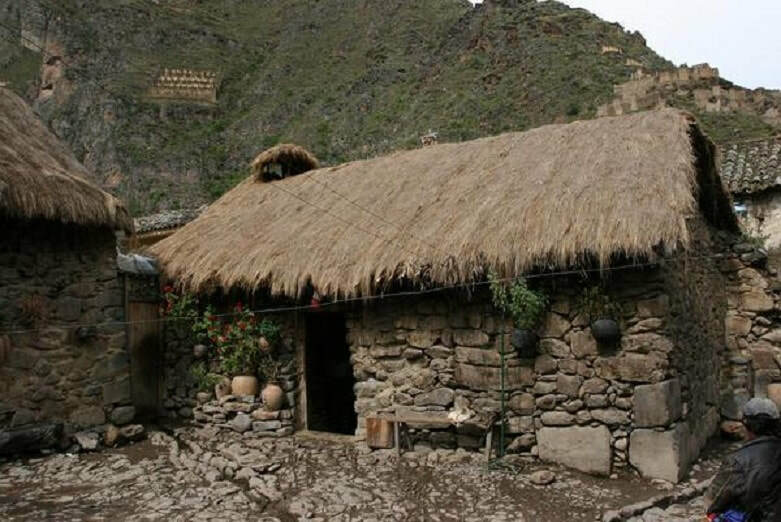 Two examples of windowless, thatched-roof Inca homes. 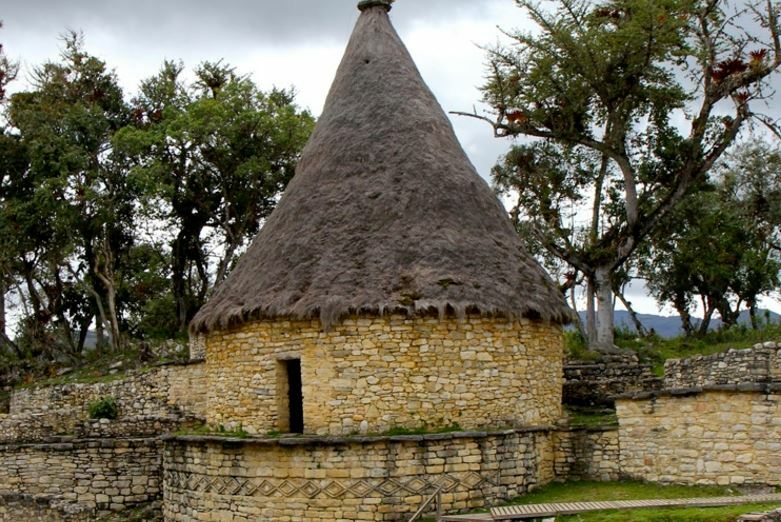 Brainbox: Why were Inca food storehouses important? 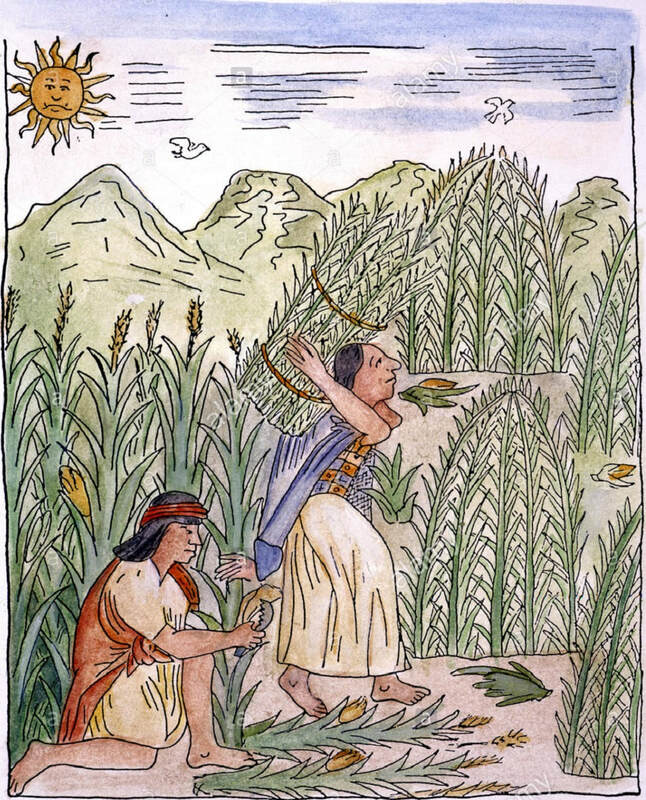 ​Food security was one of the most important policies of the Inca government. All Inca people could expect to be well-fed. Most common people worked as farmers and they were excellent at their job. With a quickly expanding empire and growing population, the Inca grew more than the population needed. They stored their surpluses in facilities throughout the empire (shown lower left). ​As a result of their skill at farming - and because all common people worked hard and needed lots of calories to continue their work - common people typically ate two or three meals a day. Their breakfast was often a food called chicha, which was a kind of thick beer made from fermented corn. Their main meal was eaten at night. They ate corn with chili peppers seasoned with herbs, potatoes, thick vegetable soups made with quinoa, and hot bread made from cornmeal and water. Why did the Inca practice terrace farming? Inca farming depended on both terraces and aqueducts to feed the empire. ​​Terrace Farming: Farmers were by far the largest and most important group of people in the Inca empire, but they were near the very bottom of the social order. Most farmers were poor and uneducated. They did not live in the cities, though they sometimes went there for ceremonies and religious festivals. They lived in rural areas in windowless huts and worked most of their waking hours. But everything in the Inca empire depended on them. And, the Inca were great farmers. ​The Incas grew their food in the fertile plains between mountains peaks, where seasonal rains made the soil suitable for agriculture. The Inca civilization inherited their knowledge of agriculture from other Andean peoples that came before them. They carved steps up the side of the mountain to create flat land for farming. The terraces also helped to keep rainwater from running off and reduced erosion. The Inca also inherited an efficient water management system and learned to carry water by way of aqueducts and irrigation canals. 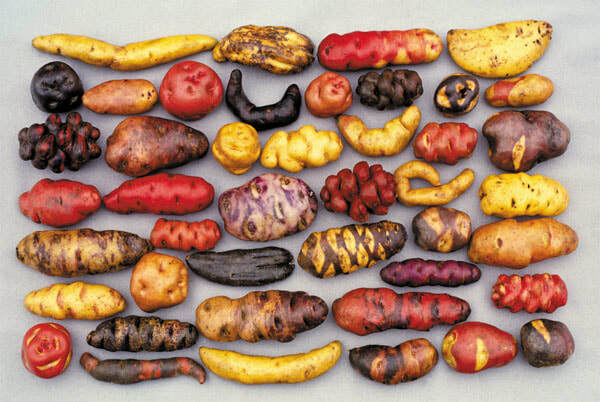 Besides their staple crops of corn, potatoes, and quinoa, the Inca grew tomatoes, avocados, peppers, strawberries, peanuts, squash, sweet potatoes, beans, pineapple, bananas, peanuts, spices, and cocoa leaves to make chocolate. They also kept honeybees. While the Inca government made sure that llamas were distributed throughout each province, they were not often used for their meat. Instead, llamas were more valuable as pack animals, for the milk they produced, and for the wool they provided. If a common person did eat meat, it was usually guinea pig which was raised at home. Occasionally, seasonal hunts were organized to catch meat for the nobility. Even though commoners ate very little meat, with the variety of foods grown, they did not go hungry. Brainbox: Why did the Inca freeze-dry their food? Stomping the moisture out of the food began the freeze-dry process. Freeze-dried Foods: The Inca farmers grew more food than was needed. Some of their food was dried and stored in royal warehouses for times of war or famine. The Inca invented a brand new system of safe food storage. After harvesting their food, the Inca freeze dried it. To do so, the Inca worked in teams to first stomp the food, removing as much water as they could. Then, during the day, they left the food out in the sun to dry. At night, they left it out in the cold to freeze. When they wanted to use the dehydrated foods, they simply added water back to the freeze-dried food. You may want to try this at home. Ask first, of course. What are at least two specialized jobs in the Inca empire? Some people did escape life on the farm. Some boys were trained as artisans. Others were trained to be the servants and temple assistants of the royals, nobles, and priests. Some actually rose to rather high positions in government service, but they were the exceptions. As you may remember from your lessons, one of the traits a culture needs in order to be called a civilization is specialized workers. Specialized workers perform unique jobs that require special training. Of the jobs below, which ones do you think fall into the category of specialized worker? ​How ​did the life of an Inca craftsperson resemble that of a modern factory worker? Craftsmen: Inca artists were well respected and ranked higher in the Inca social order than farmers. Though they also worked very hard, artisans and craftspeople had a somewhat easier life than the farmer and were excused from paying the mit'a, or work tax. Inca authorities encouraged the development of special skills in their artisans. Specialization was important because, for the sake of efficiency, the Inca favored mass production of goods. Craftsmen used the same design over and over again. In that way, artisans probably felt a bit like modern factory workers endlessly performing the same task. Eventually, neighborhoods around the cities evolved to house workers of only one kind or another. For instance, all those who worked with gold might live and work in one neighborhood, while pottery makers lived and worked in another. Inca craftsmen were especially skilled, creative goldsmiths. The Inca mined precious metals to create beautiful, functional craft work. In addition to gold, Inca craftsmen made metal objects of bronze which they produced by melting copper and tin together. ​ Inca craftsmen made statues, knives, weapons, pins for garments, and tools. They made necklaces for the rich of silver, of gold, and of pearls. They made beautiful as well as functional weapons. They made different types of religious items, including finely crafted offerings to the gods. Using gold and silver, they even created a life-sized field of corn for a temple courtyard. Each cob, leaf, and stalk was individually crafted. Their beautiful pottery was made by hand. The Inca are famous for a strange pot they made. It had a pointed bottom. When the pot was full, it balanced itself upright; when it was empty, it laid on its side. Inca pottery is beautiful, often whimsical, and frequently includes themes from nature. Left to Right: A stirrup vessel with llama and two herdsmen. Do you think that the body of the pot represents terrace farming? Next, look closely... can you see the face at the neck of the pot? What do you think the black and cream stripes represent? You can see dragon flies on the next pot. Lastly, this type of pot is called a portrait vessel. This one shows a noble. How can you tell? Weavers: For the Inca, finely woven and highly decorative textiles were a symbol of wealth and status. Fine cloth could be used as both a tax and as currency. The very best textiles became among the most prized of all possessions, even more precious than gold or silver. Weavers were highly skilled and, as a result, weaving was probably the most important of all the Inca arts. Both men and women were weavers. Weavers made blankets, ropes, clothing, baskets, and thick, twisted rope cable for the suspension bridges that they built to span the deep ravines that crossed the empire. Weavers created their threads from the wool of three different animals - the llama, the alpaca, and the vicuna. The type of wool used determined the quality of the cloth. Vicuna wool can be exceptionally fine. Goods made using the super-soft vicuna wool were restricted, and only the Inca ruler could own vicuna herds. Some of the wool fabrics made by Inca weavers were so fine that they felt like silk. Some weavers wove feathers into their fabrics. Weavers in Peru today use the same methods as the ancient Inca. The Inca used the same methods as the people before them. Some of the designs have remained unchanged for thousands of years. Look closely. Based on these examples, what stories do you think the weavers were trying to tell? The most common colors used in Inca textiles were black, white, green, yellow, orange, purple, and red. These colors came from natural dyes which were extracted from plants, minerals, insects, and mollusks. Colors also had specific meaning. For example, red was associated with conquest, royalty, and blood. Green represented forests, the peoples who lived in forests, ancestors, rain and farming. Black signified both creation and death. Yellow could symbolize corn, gold, or the sun. Purple was considered the first color and is associated with Mama Oclla, the founding mother of the Inca people. The colors used are not the only way that Inca textiles tell a story. The patterns woven into the fabric also told a story. Inca textiles use a lot of geometric designs, especially checkerboards of repeated patterns. Certain patterns probably also told stories. In some textiles you can see depictions of animals such as llamas, snakes, birds, sea creatures, and plants. Despite their skill at creating fun, colorful textiles, clothes were usually simply patterned, commonly with square designs at the waist and fringes and a triangle marking the neck. One such design was the standard military tunic which consisted of a black and white checkerboard with a red triangle at the neck. Brainbox: What story is being told by the military tunic pictured above? ​Sorcerers: Inca sorcerers were local people who were believed to have special abilities. They were not priests, but it was believed they could cast spells, read omens, and help or hinder you in reaching your goals through the use of magic. The rich belonged to an ayllu of noble family members. Members of royalty and nobility led a life of luxury. They were exempt from taxation. They could own land and llamas. They had beautiful clothing made from the finest textiles. As a mar of their social rank and importance, they were carried around on litters. The boys went to school. Some were given jobs of importance in the government. Compared to the common people who had to work very hard, their lives were ones of ease and comfort. ​Clothing: Everyone dressed in the same fashion in the Inca empire, rich and poor. The quality of the cloth varied. The rich had soft, heavily embroidered clothes. The poor had coarse wool clothes. But the style was the same. Men wore sleeveless knee-length tunics with ponchos or cloaks. Women wore long dresses and capes fastened with a pin of cheap metal or heavy gold, depending upon their status. Clothes were made of woven wool. Coming-of-Age Ceremony: When the sons of nobles turned 14, there was a coming-of-age ceremony that allowed the boys to demonstrate their physical and military skill. In a special ceremony, the boys had their ears pierced. They were presented to the sun god and then took their place as adults. For this ceremony, boys from noble families wore special clothes woven from feathers. Why was a man's hairstyle important? Hairstyles: Hairstyles for the men were very important. Each noble ayllu had a distinctive hairstyle. Your hairstyle announced your social position. Since the Inca were very class-conscious, hairstyles for the men mattered.